Just when you thought you’ve done everything you can by the Han River, Tubester is here to give you an opportunity to do something on the Han River. 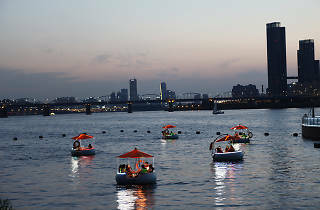 A large tube-boat fully capable of seating 6 and equipped with a parasol to protect you from the sun, riding the Tubester is one of the most trending things to do in Seoul right now. 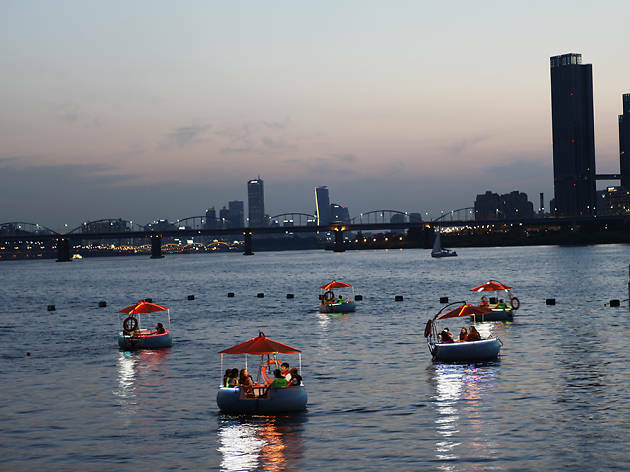 You can bring your own food to picnic on the river during the day or a few drinks for a quiet party surrounded by the Seoul’s beautiful nightline. Give them a call and make a reservation in advance for the weekday or bear the lines during the weekend. 30min 30,000 won. 1hr 45,000 won.